How tall is Lil Uzi Vert? Lil Uzi Vert was born in Francisville, North Philadelphia, Pennsylvannia, USA (July 31, 1994) who is a rapper and singer and songwriter. He began rapping in 2013. Lil Uzi Very released his debut mixtape entitled The Real Uzi on August 5, 2014. He gained fame with his popular songs, Money Longer and You Was Right. Lil Uzi has over 334K followers on SoundCloud. What are music genres of Lil Uzi Vert? What is Lil Uzi Vert’s record labels? Lil Uzi Vert’s record label is Generation Now and Altantic Records. How muc does Lil Uzi Vert weigh? He weighs 161 lbs or 73 kg. Who with did Lil Uzi Vert collaborate? 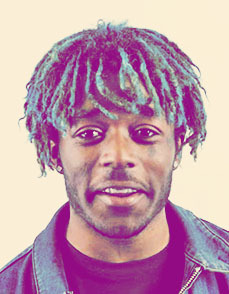 Lil Uzi Vert has collaborated with several recording artists such as A$AP Ferg, Wiz Khalifa, Young Thug, Rich The Kid, Lil Yachty, and Metro Boomin. He’s actually 5’4 / 1,63. He tweetd it.